Our goal is for young people that come to Gym Trix to develop an enthusiasm for physical activity that remains for life. Having children of all ages begin to learn the love of exercise through gymnastics. 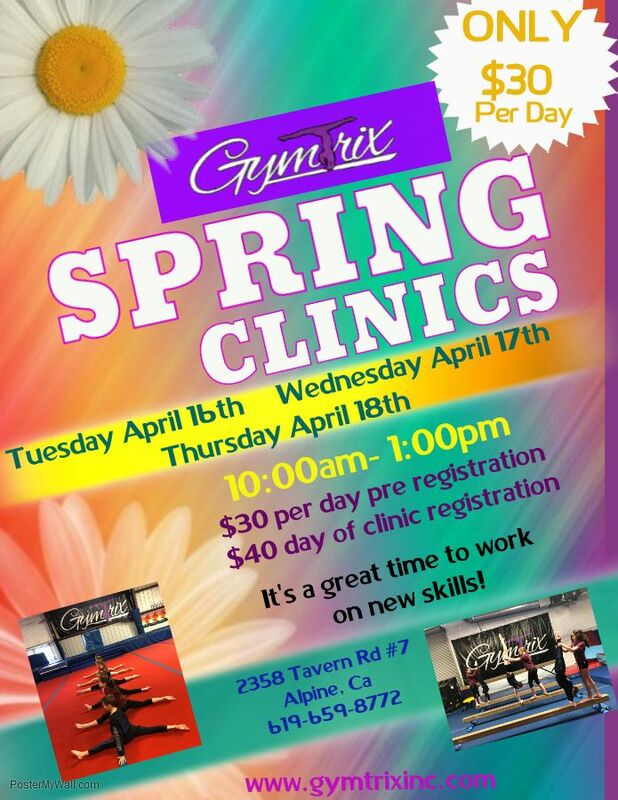 Register today for the Gym Trix Olympics! 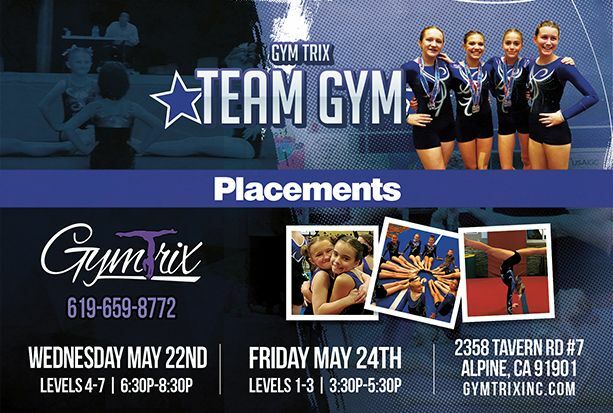 Each participant will receive a leotard, shorts, certificate, medal, &, not only will they compete at the Gym Trix Olympics, but also the San Diego County Fair. 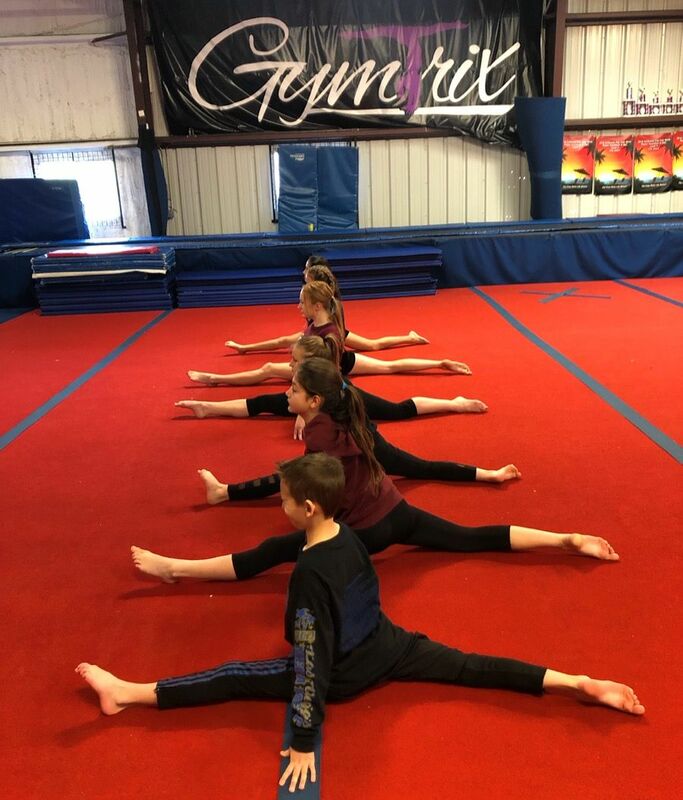 We offer a variety of youth fun including recreational gymnastics, competitive team gymnastics, boys gymnastics, cheer teams, birthday parties, special events & more! 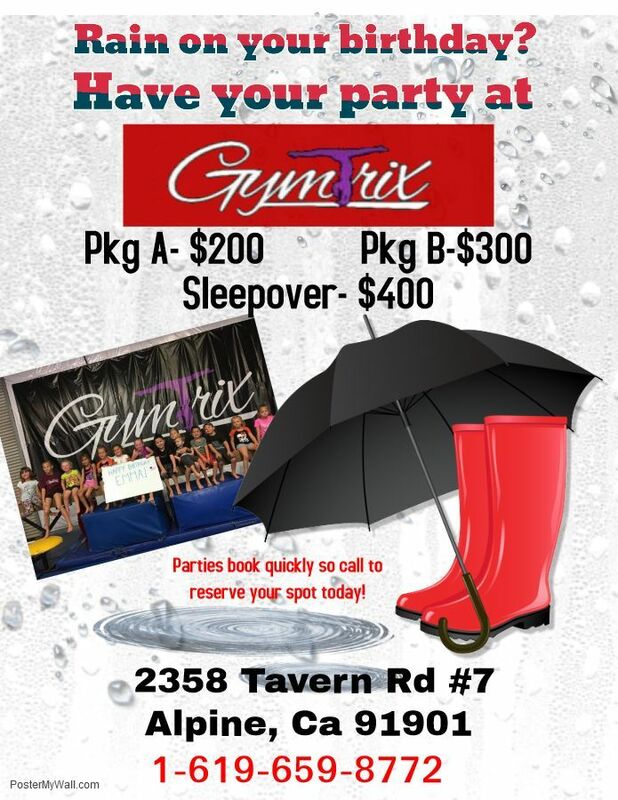 Your child can enjoy a birthday party filled with all the amenities of our gymnastics facility! Even have a sleepover with pizza & donuts! Reserve your spot today as parties book quickly! 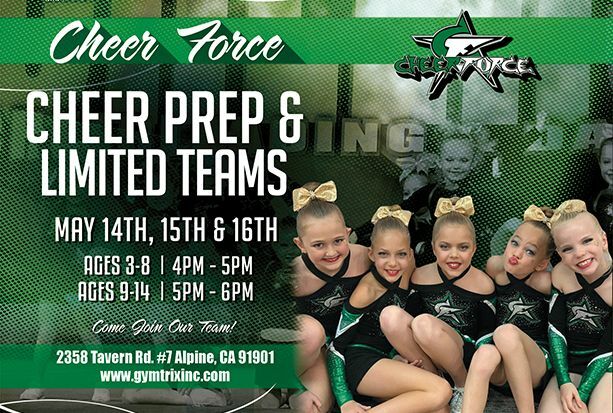 Team Gym and Cheer Evaluations 2019!